known as Cora cloth bag, made of used as or vegitable bag All our bags are eco-friendly, finely stitched and have durable handling straps & high tear strength. 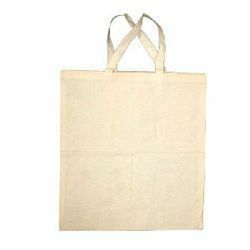 Our infrastructure is well equipped with the latest machinery, which helps in the manufacture of a quality range of sack bags. Commenced in the year 2015, Brown And Green is one of the famous names in the market. The ownership type of our company is a Partnership. The head office of our business is located in Bengaluru, Karnataka. Matching up with the ever increasing requirements of the customers, our company is engaged in manufacturing and trading of Laptop Sleeve Case, Ladies Fashion Bag, Cotton Bag and many more. Offered products are well known for their impeccable quality and cost effective nature.